A majority of Americans believe the government is out of control. Over the past several weeks Americans have been bombarded with news accounts of colossal, unprecedented government surveillance – the National Security Agency (NSA), the Internal Revenue Service (IRS), and the Department of Justice (DOJ) are all collecting data on American citizens. Recent polls show little support for expanding government surveillance, and more than three-quarters of voters want Congress to continue investigating the IRS and DOJ scandals. We’re tired of being watched by a surveillance leviathan monitoring our speech, phone calls, and associations. It’s in the context of massive surveillance and the public’s increasing mistrust for government that the House of Representatives begins debate on a new five-year farm bill. You would think that it’s a ridiculous stretch of the imagination to put the farm bill in the milieu of “big brother is watching you.” Unfortunately, you would be wrong. As the House Agriculture Committee prepares the farm bill for a vote, many conservative organizations oppose the bill because they want deeper cuts in SNAP (formerly known as food stamps). Limiting the growth of the entitlement state is a worthy public-policy endeavor. Government spending, taxes, and debt threaten future generations of Americans. Without true reform, the American dream is at risk. However, creating a new, intrusive government surveillance system is not entitlement reform, and it will not cut the food stamp program. Food surveillance is a misguided, dysfunctional idea that will result in less freedom, bigger government, and more spending. Whether it’s under the guise of entitlement reform or public health, some politicians may favor food monitoring and restrictions because it’s an easy way to show voters that they’re being good stewards of taxpayer money. On the contrary, food restrictions in SNAP will create a food code mimicking the complexity of the IRS tax code. Bureaucrats will have to analyze and categorize the 300,000 food and beverage products on the market now and the additional 15,000 food items introduced every year. If the precedent is set that the government on the basis of public health has the authority to monitor the food choices of the poor, Congress will set us down a slippery slope toward the food-police regulating and keeping watch over the diets of all Americans. There are some politicians – most notably New York’s Mayor Michael Bloomberg – who believe that solving nutritional issues is the responsibility of the government. However, a food surveillance program will not make people healthier; it will not save taxpayer money; and it will not reform entitlements. Instead, the food-police will disrupt the free market and create massive food bureaucracies. And if consuming less of an unhealthy food is good for poor people, consuming less of an unhealthy food is good for all people. Food surveillance will have its start in SNAP, but will end up impacting all Americans. 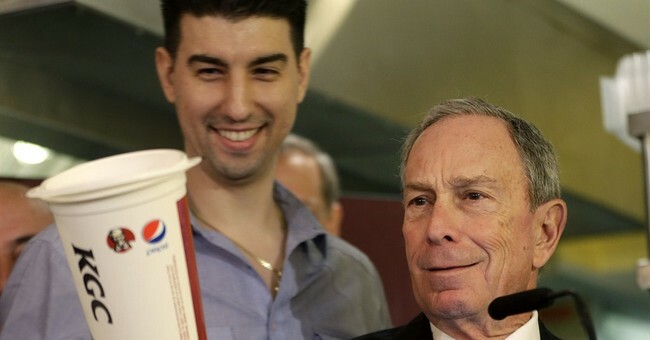 Public health advocates like Mayor Bloomberg believe that all adults are unable to make responsible decisions about the food and beverages we consume. House Republicans should stand against paternalistic policies aimed at our diets, and trust the American people to decide for ourselves what is healthy or unhealthy. Food surveillance violates individual liberty, and it creates a gateway for more government intrusion into our lives. Food surveillance is not entitlement reform, and it is not going to make Americans any healthier – as if that’s the government’s business anyway.